Clean, comfortable and inviting…Deshka Wilderness Lodge is waiting for you! 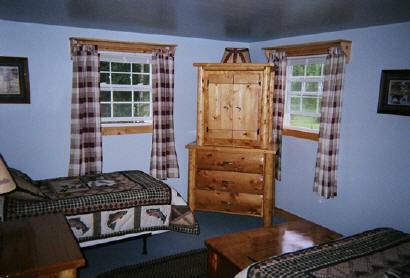 Accommodations for our guests in the lodge are clean comfortable rooms with private baths. Meals are served in our beautiful dining room with a cozy relaxing atmosphere. We take a maximum of four guests per week so we can concentrate on personal attention for each and every one. You will not feel like a number here. All our meals are hearty home cooked meals and if you walk away from the table hungry you have no one to blame but yourself. Breakfast is served early so fishermen are on the river at the optimum time. Shore lunches are provided so you can stay out in the hotspots and keep fishing. Dinner and appetizers are back at the lodge in the evening and served early enough so if you wanted to grab your fishing rod and go back out front and fish some more you have plenty of time (if your arms aren’t already wore out). After all this is the land of the midnight sun. 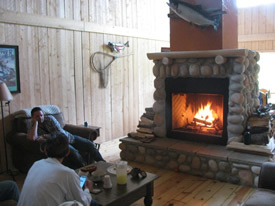 Share the day’s fishing stories around our cozy stone fireplace. After a great day of Alaska fishing you can unwind and relax in our newly renovated great room. Guests can enjoy sitting around our river rock woodburning fireplace as the fire crackles and relive the days events. 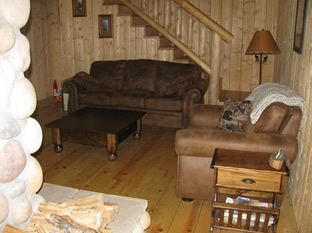 Or curl up on the couch with a with a good book and a cool drink and get rested up for the next days activities. 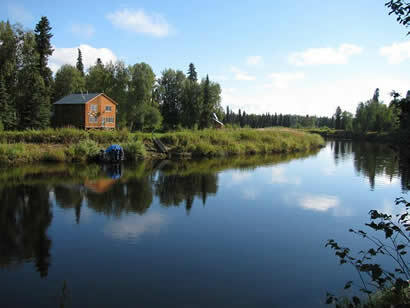 Either way you will have plenty of comfort and room to relax after a day of Alaska river fishing. Bedrooms are comfortably furnished with power and running water twenty four hours a day. 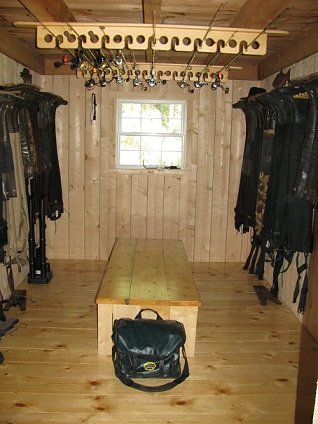 Bedrooms have a full and a single bed in them and are based on double occupancy. Each room has its own private bath with shower, sink and toilet. All linens are provided. The rooms are set up that if a guest just wished to sit back in a chair and read a book by themselves they could. Each bedroom also offers TV and DVD player for your private entertainment. Free WiFi is available to our guests throughout the lodge. 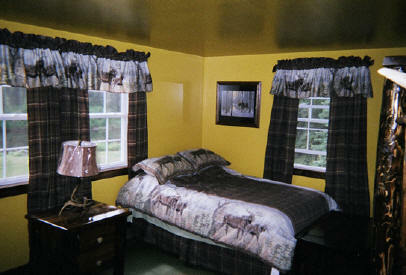 After a great day on the river, you’ll enjoy a good night’s sleep at the lodge! 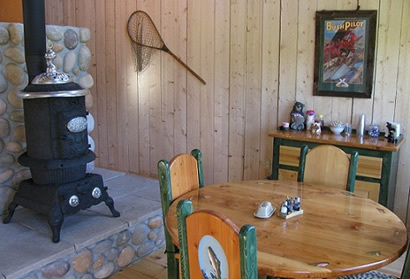 Warm up by the pot belly stove, and enjoy a home-cooked meal. Everything you need for a wonderful river fishing vacation!